There was so much I could have written after this week’s airing of Glee: the controversy about its appropriateness for young viewers, the sexualization of girls and women, the psychology of Rocky Horror Picture Show, the list goes on and on. But instead, I’m going to keep it simple. 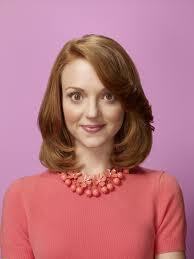 I love Emma Pillsbury, the school counselor on Glee. There are lots of reasons I like her: she loves cardigans as I do, she’s a redhead, she’s a quirky character. But perhaps what I like best is that she is the school counselor – and I LOVE school counselors. They see your child in a different light. School counselors get the opportunity to be flies on the wall at school and observe children in their natural state. They are able to see who really started the fight, if your child is really the bully you think she might be, and what is really behind all those tardies in math. Their services are included. At least in my area, school counselors’ services are free to students. This can be a super opportunity for families who are pinching pennies and can’t afford outside services. The hours are great. Since counselors’ offices are right there in the school, their schedules match beautifully with the kids’. Often kids can zip into the counselor’s office for a quick chat between classes, during lunch, or at recess. No need to miss parts of the school day, cut into family time, or rush through homework in order to make an appointment with an outside practitioner. The kids are in charge. In many of the schools with which I work, the kids themselves are in charge (to a large degree) of deciding when they see their school counselor. I love the degree of responsibility and independence this affords them. It helps teach kids at an early age to find appropriate help and resources when needed. While your school counselor might not sing and dance like Ms. Pillsbury, she/he is still worth checking out!